The commercial and multi-family construction industry in the United States is moving quickly towards a solution to the ever-worsening labor shortages and cost escalations in today’s market. That solution is MODULAR, off-site construction. Forward leaning manufacturers are rapidly advancing the production of commercial modular buildings through technology, automation, and innovative design. ProSet, Inc. has emerged as the leading INSTALLATION contractor, trusted to ensure the accurate, safe and efficient crane setting of these structures. ProSet, Inc. is a mobile company serving the entire Western U.S. Our team travels the country year-round installing modular Hotels, Apartment Buildings and Assisted Living facilities. We can be wherever and whenever the project demands our services. Led by the most experienced multi-story modular installation technicians in the industry, ProSet, Inc. has unmatched knowledge, ensuring every crane set is a success. By maintaining precise dimensional tolerances, accurate completion of all structural connections, and an absolute dedication to keeping the building dry, our clients can rest assured their investment in a vacant lot full of boxes will be transformed into a permanent, dried-in structure in a matter of days. As the leading hotel companies in the United States face ever worsening conditions to bring new properties to the market, the industry has turned to modular as a means to put desperately needed rooms into circulation faster and more affordably. Top hotel brands have begun to adopt the modular technology in recent years and ProSet Inc. has been the modular installer in nearly every name brand modular hotel constructed in the Western United States to date. 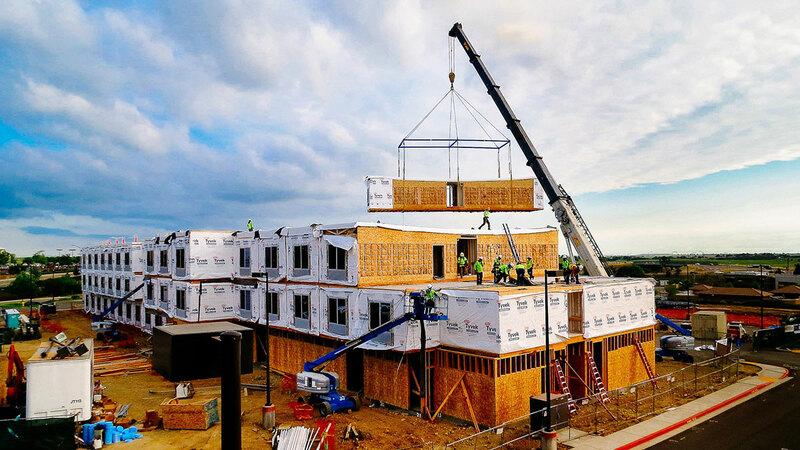 With many segments of the country facing housing shortages as well as skyrocketing housing costs, modular building has become an attractive solution to mitigate the labor shortages, material cost escalations, and overall challenges to bringing new housing product to the market. 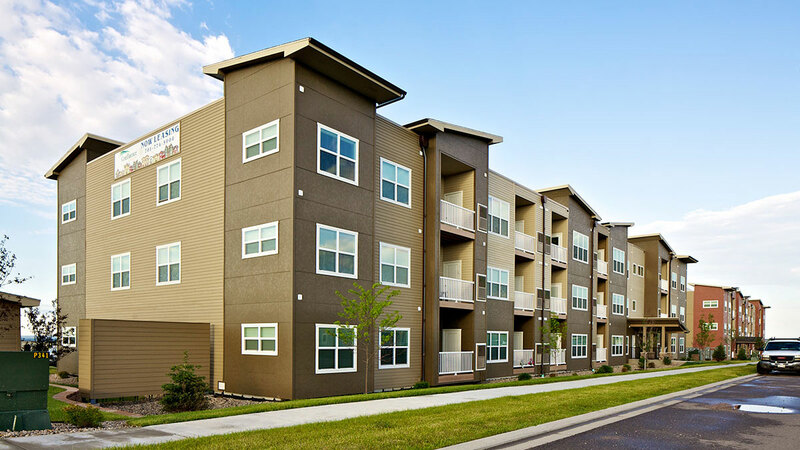 Whether the need is condominiums and townhomes, apartments or workforce housing, modular technology is answering the call. Suffering from the same construction challenges, these market segments are also seeing explosive growth in modular construction. After installing thousands of modular boxes in Colorado’s southwest, Matt Mitchell joined forces with Scott Bridger in 2014 to form ProSet, Inc. One of the few people in this specialized industry who can match Matt’s vast experience and knowledge is Chris Rimes. Originally brought on as the Director of Installations, Chris is now a part owner of the business and continues to lead the field operations. 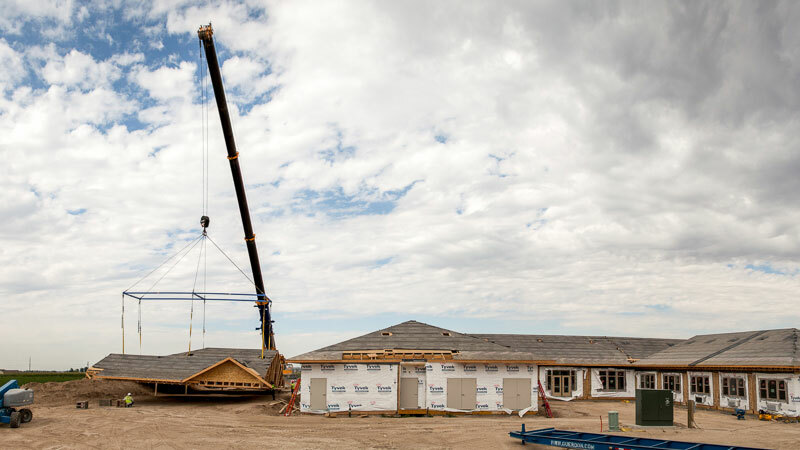 The new venture began with a multi-building apartment project installation in North Dakota and was soon followed by an explosion of hospitality projects throughout the Western United States. When Marriott, the world’s largest hospitality company, decided to adopt the modular technology for some if it’s new facilities, ProSet, inc. was selected as the installer on the first of many to follow, which was a Fairfield Inn and Suites in Folsom, California. To date, ProSet has set every modular Marriott hotel built west of the Mississippi. Additionally, Hilton, Hyatt and Holiday Inn Express have all engaged ProSet to install their modular hotels.